Austin College initially occupied the current site of Sam Houston State University. In 1876 it was moved to Sherman, Texas, but Austin Hall, which was dedicated in 1851 with Texas hero Sam Houston in attendance, is now the university's architectural symbol. After it was used as a Methodist school for boys, Austin Hall was acquired in 1879 by a group of Huntsville citizens. They had first failed to have their city designated as the Texas state capital, but settled instead for the first teacher-training school in the southwestern United States. Establishment of Sam Houston Normal Institute was authorized by Texas Gov. Oran M. Roberts on April 21, 1879 (San Jacinto Day). On October 10 of that year the predecessor of Sam Houston State University opened. Its first president was Bernard Mallon , who died only 11 days after the school opened. He was succeeded by H. H. Smith, who served until 1881. The Institute's first catalogue, which was not published until after the close of the first academic year, listed a "Board of Instruction" that included: H. H. Smith, principal; Oscar H. Cooper, assistant; Mrs. Bernard Mallon, assistant; Mrs. J. R. Whiteside, assistant; and Mrs. A. A. Reynolds, music. Cooper was also listed as the librarian, and Mrs. Whiteside as secretary. That catalogue also listed the names of 109 students. Joseph Baldwin headed the Normal School from 1881 until 1891. Under his presidency, in 1890, Old Main was built and occupied, allowing space for an additional year of study for students wishing to remain beyond the traditional two-year program. Old Main was destroyed by fire on February, 12, 1982. President H. Carr Pritchett's tenure (1891-1908) saw the continued expansion of the campus, including the addition of Peabody Library, and an enrollment increase to 529 by the time of his death in 1908. During the 29 years of Harry F. Estill's presidency (1908-1937) Sam Houston Normal Institute continued to expand to meet the needs of a growing state. The curriculum was expanded to four years and the first baccalaureate degree awarded in 1919. In 1923 the name of the institution was changed to Sam Houston State Teachers College and two years later the college became a member of the Southern Association of Colleges and Schools. In 1936 graduate programs were offered for the first time, and the first dormitory for women, Belvin Hall, was built. After Charles N. Shaver's five-year tenure, during which the first men's dormitory was built, Harmon L. Lowman served as president for 22 years. The campus expanded rapidly under Lowman, especially in the area of residence halls and instructional facilities, and by 1964 the enrollment exceeded 5,000. 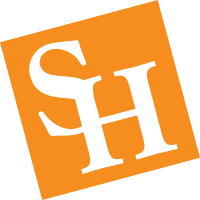 In 1965, during the presidency of Arleigh B. Templeton (1965-1970), Sam Houston State Teachers College was renamed Sam Houston State College. In 1969 the school became Sam Houston State University. During Templeton's tenure the university enjoyed tremendous growth: the criminal justice program was developed, the Newton Gresham Library and several instructional facilities were added, and by the time of Templeton's resignation in 1970 enrollment had surpassed 8,500. Elliott T. Bowers, who served as president from 1970-1989, directed development of the East Campus, which includes the University Theatre Center, Teacher Education Center, Bernard G. Johnson Coliseum, and George J. Beto Criminal Justice Center. Under the Campus Master Plan of 1982 other facilities were added: the Dan Rather Communications Building, Health/Kinesiology Building, Lee Drain Building, Fine Arts Building, and a new 13,000-seat stadium and field house (named the Elliott T. Bowers Stadium and Field House in honor of Dr. Bowers in 1989). Under Martin J. Anisman (1989-1995) academic emphasis included increased admissions standards and creation of an Across the University Writing Program and a Learning Assistance Center. The Texas Research Institute for Environmental Studies (TRIES) was established and the Bill Blackwood Law Enforcement Management Institute of Texas moved to the SHSU campus from Austin. The Katy and E. Don Walker, Sr. Education Center was built as an outgrowth of the General Sam Houston Bicentennial Birthday Celebration and the Sam South complex developed. Bobby K. Marks served as interim president after the resignation of Anisman and was named the university's 11th president in June 1996. The major focus of his administration was the use of technology for instructional programs, student retention, fund raising and international activities. The esteem in which he was held was indicated by the naming of a street and building on the university campus in his honor and his being named president emeritus. He retired in August 2001, after 41 years as a faculty member and administrator. James F. Gaertner served as the university's 12th president, taking over from Marks on August 21, 2001. Under Gaertner’s leadership, enrollment grew by 30 percent, the number of faculty increased by 41 percent and the university added 16 new academic programs. Other accomplishments include the achievement of a Carnegie Doctoral Research classification, placing SHSU in the top 7 percent of all institutions in the United States; the completion of nearly $280 million in construction projects; the initiation of the university’s first capital campaign in which more than $61 million in commitments were raised; the establishment of the Official Ring Ceremony, the President’s Speaker’s Series, and the nationally recognized Alcohol and Drug Abuse Initiative for students; a reorganization of existing university structure and the implementation of new programs and projects; and the establishment of over 40 articulation agreements with community colleges in Texas, making SHSU a leader in such agreements in the state. He retired in August 2010. Dana L. Gibson took over as SHSU's 13th present, and first female president, on Sept. 1, 2010. Having grown to a current enrollment of more than 17,214 students, Sam Houston State University offers an extensive range of bachelor's and master's degrees, doctor of philosophy degrees in criminal justice, forensic clinical psychology and counselor education, and education doctorates in educational leadership and reading. With its modern facilities, an inspired and capable administration, and a superior faculty, the university is embracing the challenges of a new century. With its namesake, its ties to Texas history and a record of many years of service to the people of the state, Sam Houston State University is truly "a great name in Texas education."